The Federal Government of Nigeria has reached a deal with Swiss authorities over the repatriation of the sum of $321 million. The funds represent part of the famous ‘Abacha loot’, vast sums of money stolen by former Nigerian Head of State, General Sani Abacha and stashed in several foreign accounts. A Swiss delegation on a visit to Nigerian finally agreed a framework with the Nigerian government on the repatriation of the funds. A statement by the Media Aide of the Vice President confirmed this development. 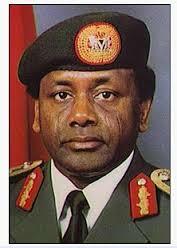 “Under the agreement, the Swiss government will award to Nigeria $321m of funds illicitly acquired by the Abacha family, initially deposited in Luxembourg and confiscated by the Judiciary of the Republic and Canton of Geneva pursuant to a Forfeiture order dated 11th December 2014,” the statement read. However, it was not disclosed the timeframe withing which the sum will be repatriated.